Alive Inside: A Story of Music and Memory is a 2014 documentary about music’s capacity to unearth memory and rediscover identity. Alive Inside visits different healthcare facilities, hospitals, and retirement homes, interviewing residents and elderly patients (Alzheimer’s patients, in particular) and observing how they respond to music. The results were outstanding – patients who were not benefitting from medication and other treatments were highly responsive to just hearing music through an MP3 player. The song selections were relevant to their youth and so they evoked vivid memories for the patients when they heard them. The documentary considers how deeply rooted different kinds of music are to our memories, and therefore our identities. One woman, seen in the documentary’s trailer, reflects on her childhood upon hearing music from that era: “…takes me back to my school days… Oh God, that’s beautiful.” One study, which looked at Alzheimer’s patients’ responses to music, has proven that music has the ability to improve “autobiographical memory” – memory which pertains to self-identification and realization (El Haj, Postal, & Allain 30). You can find the trailer for the documentary below. The entire documentary is also currently available on Netflix. Considering this idea that music connects us to who we are, it is no wonder then that people create playlists to express themselves. Barack Obama’s Spotify playlist of his top “20 picks for a summer day”, for instance, gives listeners a chance to feel what the president might feel on a summer day (perhaps not exactly, because music is a pretty individualistic experience tied to our own unique memories). But music is not just tied to individual memory – it can be tied to collective memory as well. José van Dijck makes this connection and argues that “recorded music gets perceived and evaluated through collective frameworks” within our society (367). The capability to record and keep music has allowed for the creation of archives, which in turn contributes to collective memory. A particular archive I found interesting was started by the late freelance broadcaster Roy Plomley. 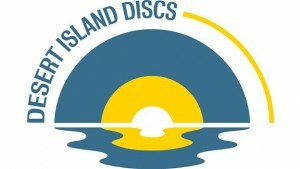 Desert Island Discs, a programme which has aired on BBC since 1942, shares people’s most valued songs with the world. The typical podcast features a notable figure – called a “castaway” – who is asked to present eight audio recordings (usually songs) that they would take with them if they were to be cast away to a desert island, as well as the relevance to their lives/why they selected that piece. The interview component of Desert Island Discs makes it more of an intimate and personal experience as the audience gets to know the castaway through their music selections. The archive of all the episodes is available online here. BBC’s “Desert Island Discs” began in 1942. With more and more online audio/music platforms available to the public (e.g., Spotify, 8tracks, Soundcloud, Bandcamp, and many more), I expect that in the future we will see even more musical “archives” develop, as people take advantage of their opportunities to create, share, and keep their music. El Haj, Mohamad, Virginie Postal, and Philippe Allain. “Music Enhances Autobiographical Memory in Mild Alzheimer’s Disease.” Educational Gerontology 38.1 (2012): 30. Web. 28 February 2016.
van Dijck, José. “Record and Hold: Popular Music between Personal and Collective Memory.” Critical Studies in Media Communication 23.5 (2006): 357-74. Web. 29 February 2016.